The figure marks the largest budgetary investment in the last ten-year period. Plans provided by governmental, public and private companies show a significant prospective growth in regional Victoria. 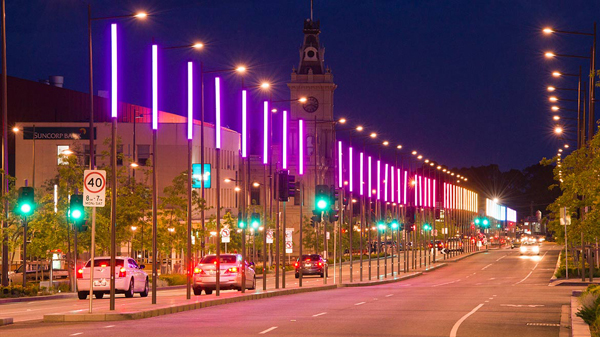 The revitalisation of some of Victoria’s regional cities will be thoroughly discussed at the 8Th Annual Victorian Major Projects Conference 2017. Hosted at the Melbourne Convention & Exhibition Centre, on the 28th and 29th of November, the Conference is Victoria’s premiere major projects event. This year, delegates will have to opportunity to learn about current and upcoming regional revitalisation projects. Speakers include Development Victoria’s Simon Wilson, General Manager Precincts, discussing the Revitalisation of Central Dandenong (RCD) and the Ballarat West Employment Zone; and Michel Masson, Chief Executive Officer, Infrastructure Victoria, presenting the 30-year strategy. Large-scale projects won’t be the only focus at the Conference; there will also be examination of more integrated upgrades regarding improved digital connectivity, technology and sustainability. With population growth and a substantial rise for the need of dwellings — a 14 per cent increase between 2014-15 (56,956) and 2016-17 (65,143) — integrated infrastructure is more important than ever. Masson made evident that it has become pertinent that there is government intervention in these areas regarding the economic and technological improvement. He added that there needs to be a focus on the upgrading of connectivity, such as internet and mobile, before moving into future Internet of Things based technology. “Renewal precincts require whole of government integrated infrastructure [sic] planning so that all infrastructure needs are considered, including transport, education and health, but also leveraging digital connectivity… digital connectivity is crucial for the future of our cities and our regional communities,” Masson explained. For Development Victoria, this is where their Urban Renewal Projects come into play. Masson reiterated that “the key is to consider these things [in] the planning phase”. Infrastructure planning, economic sustainability and population-growth issues are some of the various topics that will be examined at the 8th Annual Victorian Major Projects Conference 2017. Over two days, 28th and 29th of November, over 200 delegates will convene at the Melbourne Convention & Exhibition Centre to discuss the latest innovative major projects.